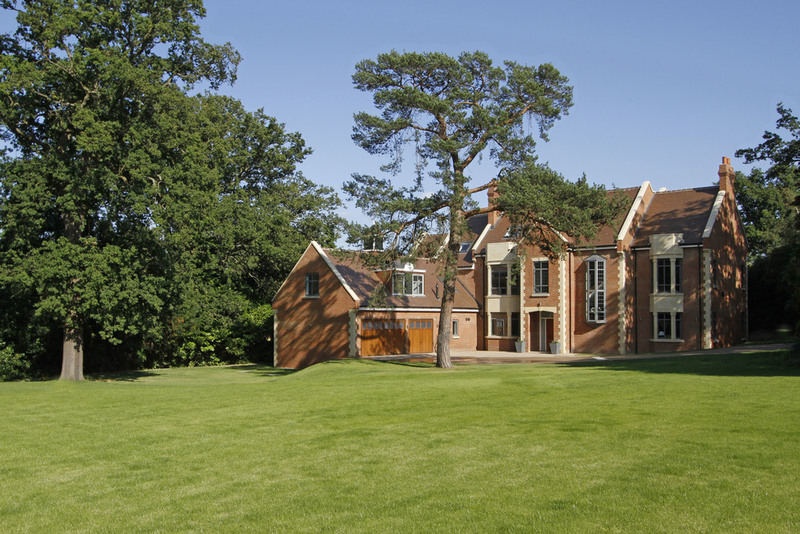 Green Hollow is a substantial newly built family residence offering accommodation in excess of 9,000 sq ft with modern technology and excellent fittings throughout all within approx 1.06 of an acre. 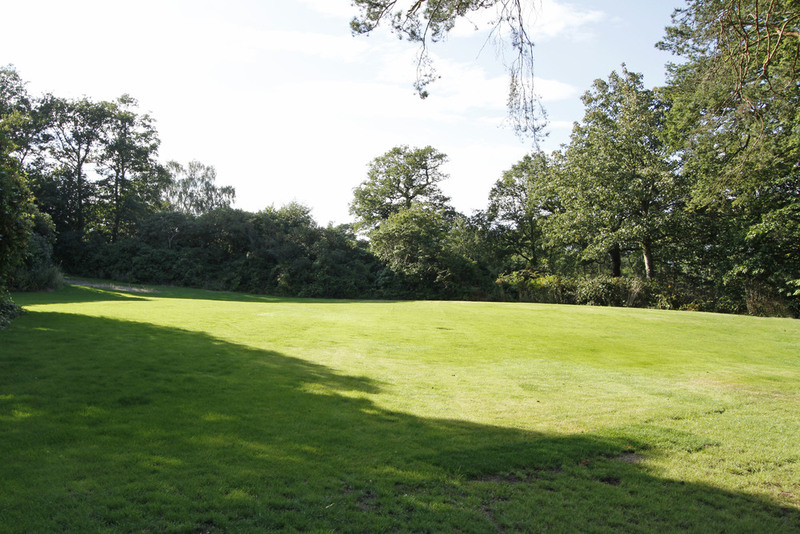 The property, which backs onto the exclusive Coombe Hill Golf Course is now available for immediate occupation. 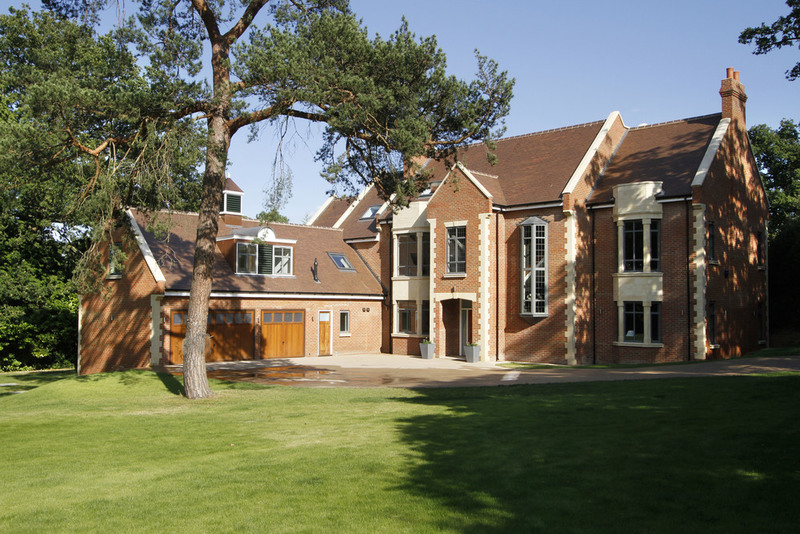 Coombe Hill Road is within easy access to the Royal Richmond Park via the Kingston Gate which is an area of outstanding beauty, providing a picturesque setting in which to picnic, go horse riding, jogging or just take a leisurely walk. Theatres at Richmond and Wimbledon are also popular alternatives to the West End together with an excellent choice of restaurants. There are also numerous schools for all ages, Public, State and International. New Malden, Kingston and Wimbledon Town Centres with their excellent shopping facilities are all within easy reach as is the A3 trunk road offering fast access to Central London and both Gatwick and Heathrow airports via the M25 motorway network. The train station at New Malden provides frequent services to Waterloo with its underground links to points throughout the City, the nearest tube station is Wimbledon. The immediate area offers a wide range of recreational facilities including three golf courses, indoor and outdoor tennis, squash clubs, ten pin bowling, and many swimming pools. Ground Floor: Hallway, living room, dining room, two family rooms, media/cinema room, guest cloakroom, wine room, kitchen, utility room, three car garage. First Floor: Master bedroom suite including his and hers en-suite bathrooms and steam room and dressing rooms, extending to approximately 100m2 or 1,076ft2. VIP Guest Suite including bathroom and dressing room. Bedroom three with en-suite bathroom and walk-in wardrobe. Study/Library, linen room. Second Floor: Bedroom four with en-suite shower room. Bedroom five with en-suite bathroom. Bedroom six, Bedroom seven/playroom, family bathroom. Floor Covering: Ground floor reception hall and kitchen in bone white travertine marble. Living room, dining room, media room, 1st and 2nd floor hallway and games room in wide board Walnut. Bedrooms to be carpeted. Staircase: In solid Walnut with steel, glass and Walnut banisters and hand rails. Bathrooms: All bathrooms are interior designed with a mixture of marble, limestone and slate are used on the floors and walls with custom designed vanity units in a number of the bathrooms. The vanity units are made in an assortment of woods but typically of Wenge, Walnut, Oak and Zebrano. Bathroom fittings and furniture are by a variety of specialist manufacturers but typically Dornbracht, Vola, Villeroy and Boch and Duravit. Master bath in 'her' bathroom is solid stone 'egg' bath. 'His' bathroom to have custom made steam/shower room. Wardrobes: All Wardrobes and wardrobe doors custom made in Walnut. Kitchen: Custom made Siematic 'Baux Art' range kitchen with MIELE appliances comprising double fridge/freezer, hob and oven, dishwasher, coffee machine, microwave/oven and 200 bottle three zone wine cooler. Media Room: With 5.1 Surround Sound Home Cinema from six discrete ceiling mounted speakers or wall and floor mounted speakers. Surround sound amplifier and video server not included. Doors: All doors to bedrooms and habitable rooms are full height (floor to ceiling) Walnut with Walnut frames and architraves. Air-Conditioning: Digitally controlled air-conditioning to all main reception rooms and master bedroom. Hot Water and Heating: Hot water system to be unvented type (mains pressure) and pumped to allow hot water on demand. There will be a 500 litre cylinder to ensure hot water for all bathrooms. 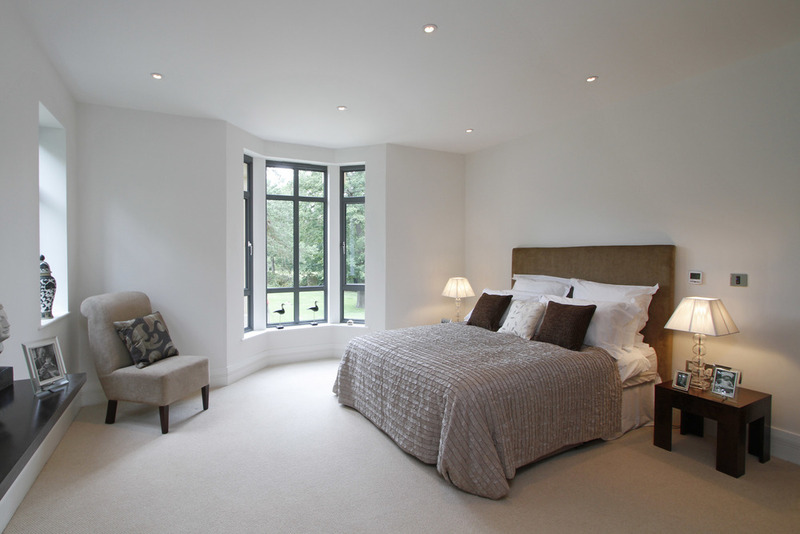 The central heating for the whole house is underfloor, with digital thermostatic controls in every room. Audio/Video/Lighting/Telephone/Internet: All main rooms to have Systemline Modular Home Entertainment system including digital colour flat screen control panels, controlling lighting, music and radio with additional components for curtain controls and video. The whole house is wired for HD Video/TV. There is also a home telephone/internet network with 3-5 outside lines. Lighting to the house is Dynalite intelligent programmable lighting. (similar in quality and appearance to Lutron) This will allow the user to programme lighting settings to the house at a touch of a button. The system can allow for remote access via the internet. 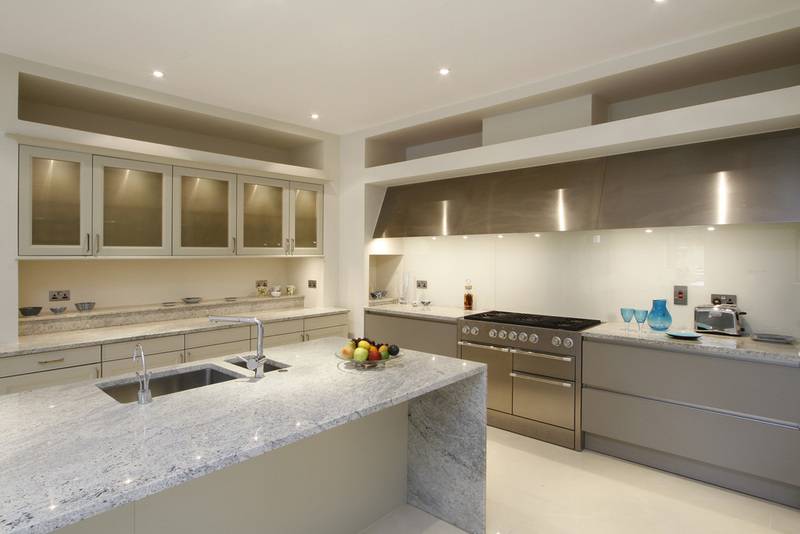 Carpentry: All the carpentry and joinery was done by highly skilled joiners with many years of experience behind them. Garage: A three car garage is integral to the house with access via a back door to the outside and internal door from the kitchen. Staff Quarters: Staff quarters are provided above the garage with access from the kitchen or the garage. The staff quarters include a bedroom, living room, kitchen and bathroom and extend to approximately 66m2 or 710ft2. Garden: Garden will be fully landscaped with a watering system installed. Water for the garden watering system and a hose point by the garage is from recycled rain water fed by a 1,500 litre underground tank. Security: There will be a remote controlled gate at the entry point to the estate from Coombe Hill Road. Internally there will be a state of the art security system which can be connected to any outside monitoring system. No warranty is given concerning this property, its fittings, equipment or appliances as they have not been tested by the Vendors Joint Sole Agents. Measurements are approximate and no responsibility is taken for any error, or mis-statement in these particulars which do not constitute an offer or contract. No representation or warranty whatever is made or given either during negotiations, in particular or elsewhere. No part of this publication may be reproduced in any form without prior written permission of Coombe Residential Ltd. All rights reserved.